Lupin arrives in Tokyo seeking the gem "Ice Cube" held by the private military contractor Night Hawks, only to find another Lupin, of the opposite jacket color, already present. 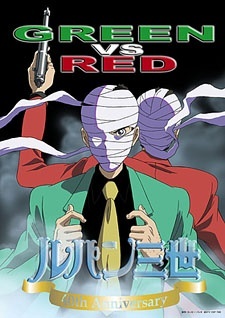 Watch Lupin III: Green vs. Red Episodes Online at Animegg.org. Lupin III: Green vs. Red is available in High Definition only through Animegg.org. Choose an episode below and start watching Lupin III: Green vs. Red in Subbed & Dubbed HD now.